I think I want to run my Cannondale single speed with clipless pedals and I just so happen to have a pair of Onza H2O pedals in the garage but no cleas. Does anyone have a set of cleats for sale or even a pair of pedals complete with cleats? 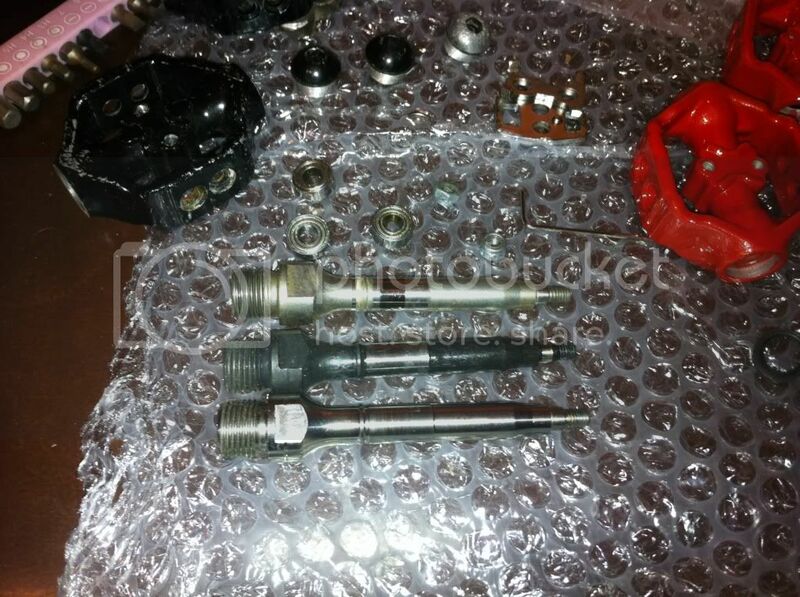 Ice got a set of nos, unopened cleats and also a nos set (in packet, unopened) of ti spindle upgrade kit (spindles, bearings, bolts and rubber seals) if you are interested? Is there anyway to tell what axle s in them at the mo? I'll drop you a PM to talk money! Interested in the spindle kit if Mindmap isn't. On telling the spindles apart - use a magnet. Otherwise if they are black they are cro-mo. popping out to the shed in a while - will put up a pic if it helps. I've asked the seller if he'll split them because the cleats ar the most important thing. I also don't want to spend loads on clips because its ages since I used them so am worried that I'll hate them and end up going back to flats.